A video of a confrontation between a customer and a customer representative is making its rounds on Facebook after it was posted in Pinoy Viral Video Facebook Page on April 20, 2015. Accompanying the video is a caption saying that the video was taken on April 20 at an unspecified SM mall. The Facebook page admin seemed to side with the representative as the caption says that not the mall administration did not even do anything to defend their employee from the anger of the customer. Furthermore, it says that the connotation ‘customer is always right’ does not give customers the right to step over the boundaries and hurt another person’s dignity. 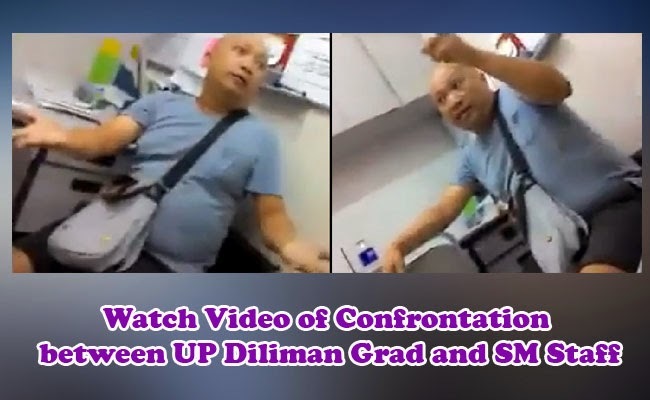 Another issue that made the video now viral is the way the customer says that he was from UP Diliman and demands for the representatives’ school. The video seemed to be an aftermath of another confrontation that happened previously. Apparently, it seemed that the customer was unhappy about the service and the representative claimed that the customer embarrassed him in front of the other customers. The confrontation might have a different angle. However, netizens shared various comments on the video. Some say that the customer was being rude. Having graduated in a prestigious school does not give anybody the right to be rude to another person. On the video, the customer said that in the previous issue, the representative did not even pacify the problem, instead he made it worst. Facebook user Mark Manzano says that a representative must always treat the customer with respect as the business thrives because of the consumers. The representative should have been the first one to apologize to pacify the irate customer. He should have assured the customer that the problem will be dealt with and it will na happen again.